Hands up, I am late to the game in discovering the joys of this face cleansing wonder. 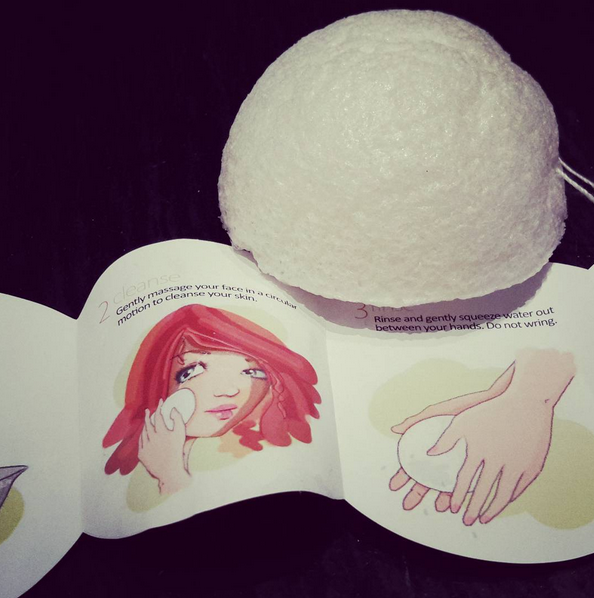 Bloggers and beauty magazines have been raving about Konjac sponges for years, and it’s been used by the Japanese (where it originates) for centuries. It’s taken a beauty advent calendar to push it my way (I can’t remember which day of the You Beauty one it emerged from) but now I’ve had one ‘foisted’ upon me and I’ve tried it, I’m never going to be without. I think the problem lies with too much choice. There are so many different types of cleansing products to choose from (creams, lotions, oils, powders, butters, balms…), not to mention tools (Clarisonic, Foreo, manual brushes, Sqoom…) that once you hit upon something you like, there’s a tendency to stick with it. What’s Special About the Konjac Sponge? The Konjac Potato or Konnyaku is a perennial plant native to Asia. It is 97% water, rich in minerals and pH neutral. It’s full of natural goodness, 100% biodegradable and fully sustainable. The plant fibre is mixed and handmade into sponges. Konjac sponges, as I’ve discovered, are super-efficient at getting rid of the daily dirt and grime on our faces, and yet feel as soft to the touch as a baby’s bum – the sponge was originally developed for delicate baby skin. They deeply cleanse, exfoliate and detoxify the skin. That’s a pretty impressive list of achievements. And did I mention that they’re pretty cheap to buy too? A facial puff sponge like the one featured costs just £7.99 – it should last around three months before needing replacement. 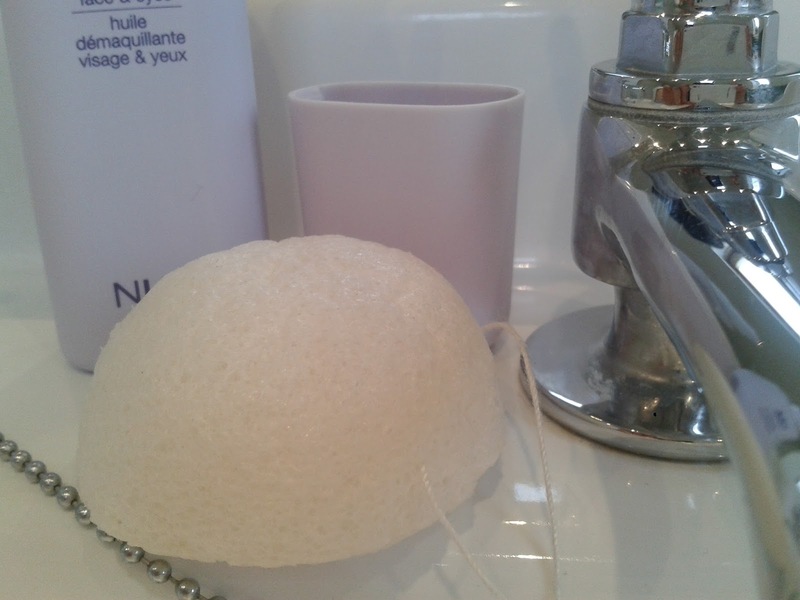 As you can tell, I’ve become a bit smitten with my Konjac sponge. You can use it with or without a cleanser. Without, it will remove water-based makeup, but if wearing something a bit more stubborn like waterproof mascara (yes, Konjac sponges are so gentle that you can even use them around the eye area), I’d advise teaming it with a balm or oil-based cleanser. To use, rinse and fully hydrate the sponge, massage your face in circular motions, then rinse the sponge and squeeze the water out without wringing. Hang it to dry in an airy space (I pop mine in the airing cupboard). Where I’ve found the Konjac sponge to be particularly useful is at the gym. For years I’ve used cleansing wipes (yes, horrors!) to clean my face after pounding the weights. But they’re incredibly drying on the skin. There are numerous types of Konjac sponges to choose from. You can check out the range here. I've always wondered if they're actually any good but I'm going to have to got one now! Hi, again, dear Tracey! 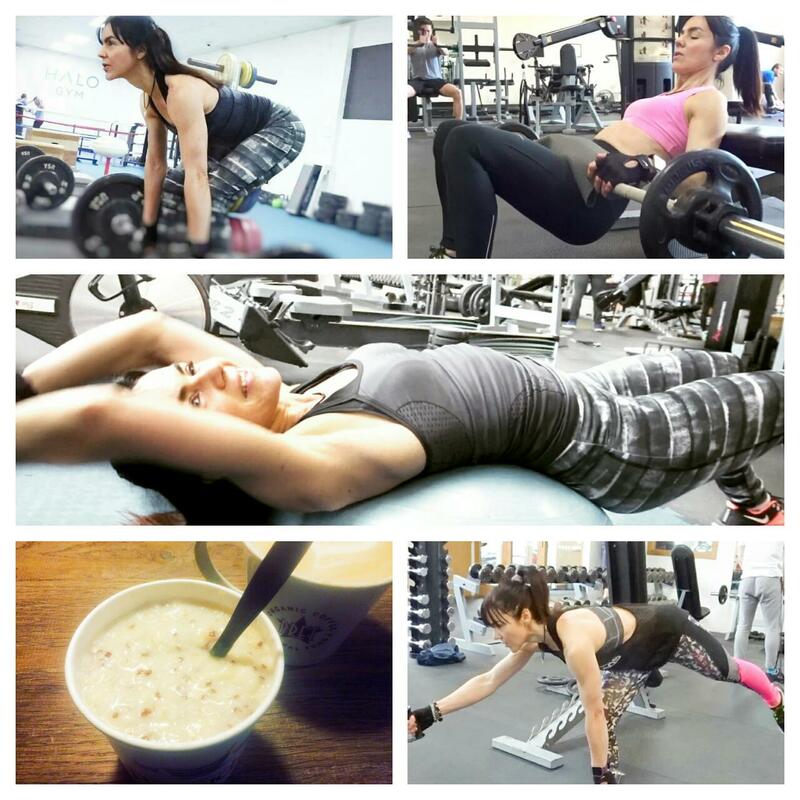 I was away for some weeks and now I am back, but I guess you knew it - what no one knows, or maybe a bit - is that I ate so much junk food that I was in total lack of proper vitamins and was exhausted, when the trip finished! But now, and just this week, I got better - ate a lot of spinach :) I loved the sponge and if it's gentle (you said so), I will love it! I love your recommendations, and I have already bought 2 products :) Hope you are fine!